UPDATE: my journey abroad came to an end in the summer of 2014. I returned to America to intern and finish my senior year of college. Perhaps you’ll catch a future blog of mine, hopefully relating to travel, possibly just relating to life as an ambitious environmentalist combating the big guys with my stealth and wit. Thank you for checking in on me. Me: I’m Lily Simon, a Junior at Pitzer College in Claremont, California. I was born in Maryland, raised in Texas, and am now off to Amsterdam for the 2013-2014 school year. I’m an Environmental Policy major with a working minor in economics; I will attempt to achieve another minor in agriculture after my year abroad. I have shared this blog with friends, family, professors, ex-teachers, and anyone willing to hear about my study abroad experience. It’ll be a wild ride, I can tell you that much. On a more personal note, I am a naturally goony redhead with a need for independence as well as multiple opportunities to pursue my many, many interests. Luckily my stubborn self-reliance and gumption will carry me through the first few weeks of my year, as I will be travelling alone and am aware of only one other Pitzer student in Amsterdam (and there’s a small chance we will actually cross paths). I point to my own name (and therefore my parents) as the reason for why I’m a flowerchild– always have been and always will be. I enjoy nature and birds, but equally love everything that the indoors provides for me (music, youtube videos of parrots and sloths, and fashion blogs). My path in policy and economics has led me away from my love of writing and poetry, but I hope a blog can be a public outlet for my perceptions of Europe and life abroad. My Trip: I will be spending my year living in Westerpark, Amsterdam, in the Netherlands. I’ll be an exchange student at the Universiteit van Amsterdam (UvA), which entails me living in an apartment with one roommate and commuting to school (by bike, of course!) At UvA, I will be in the Future Planet Studies faculty for exchange students and dutch students, meaning that the classes are taught in English but are primarily locals. The focus of my first semester is food systems, and the focus of my second will be everything related to water. I’m looking forward to bringing this knowledge back to the states in order to solve crucial environmental problems that are affecting food and water supply. I will be taking many trips throughout my year, but I’m most looking forward to Oktoberfest in Munich where I’ll meet up with high school friends that are studying abroad as well. These are my tales. Wish me luck! Hey Lily! 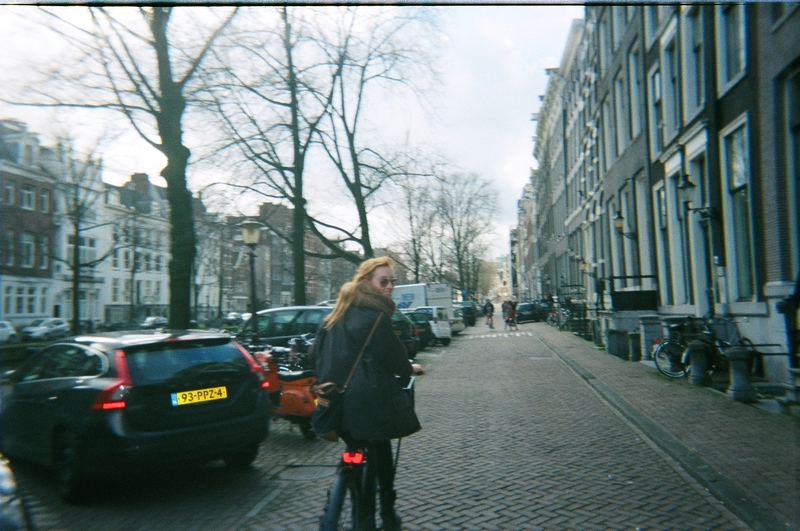 I am the writer behind Not-So-Jaded Thoughts and I am studying abroad in Amsterdam this semester and I am absolutely LOVVING your blog especially about the cafes. If you have any more recommendations please let me know!